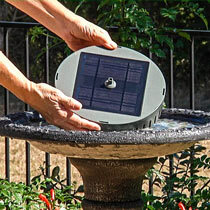 Transforms a traditional birdbath into a solar-powered fountain in seconds! 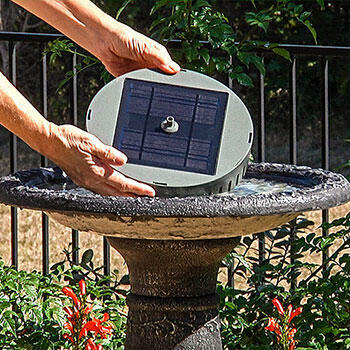 When placed in direct sunlight, this convenient fountain insert moves the water to attract more birds. 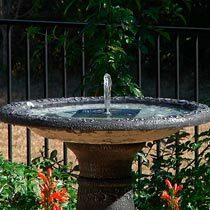 Neutral grey colour is designed to match a wide variety of birdbath finishes. Includes two fountain heads: a 360° spray and a bubbler spray, which make soothing, tranquil running water sounds. Birdbath not included.